Muslims Earn Trinidad Top Aational Awards. August 30th 2010: Mr. Kamaluddin Mohammed and the late Dr. Wahid Ali will be honoured with the nation’s highest award—Order of T&T—at tomorrow night’s Independence award ceremony. This was revealed by Prime Minister Kamla Persad-Bissessar. Mr. Mohammed pioneering services to building the Muslim Community, the cultural heritage of the Indian indentured labourers and the nation of Trinidad and Tobago are widely acknowledged. The mystery of this belated recognition is only relieved by the fact that “Charch” [meaning uncle] as he is commonly known, will receive this honour while he is alive. Journalist Jai Parasram paid fitting tribute to Mr. Mohammed in his blog [read it here]. 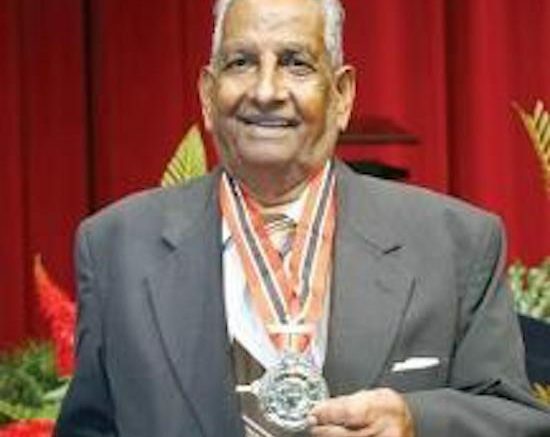 Dr. Wahid Ali was praised by the Prime Minister for his courage who refused to accept the Trinity Cross in 1977 on the basis of conscience.Being of the Muslim faith Dr. Ali objected to the the title of the highest national award was not representative of the multi-faith society of Trinidad and Tobago. Dr Ali was persuaded by the then Prime Minister Dr.Eric Williams to accept the award when he promised to change the award title. 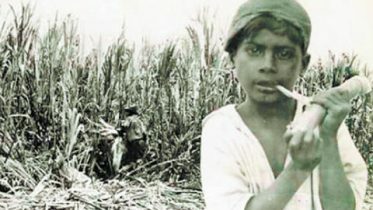 Dr. Ali criticized both the Panday and Manning Administrations who subsequently failed to fullfill this promise more than two decades later. The UK based the Law Lords of the Privy Council [in an action brought by the Maha Sabha] agreed that it was unconstitutional and against equity and fairness to force any one religion to accept the Trinity Cross. Hence the Order of Trinidad and Tobago was initiated. Dr Ali was a doctor of medicine. He was awarded the Clinical Prize in Surgery and the title Distinguished Graduate, UWI, in 1998. He was the first recipient of the Sir Thomas Taylor Award, as well as a gold medallist for public service by the Vishva Hindu Parishad. He was a former government senator and President of the Senate of Trinidad and Tobago, and the first president of the Inter-Religious Organisation. A past of both the President of the National Youth Council and the Trinidad and Tobago Muslim Youth Organization. Dr. Ali passed on in 2008 [read story here] additional details on his major life challenges can be read here. Dr Nasser Mustapha receives the Humming Bird Medal (Silver) from President George Maxwell Richards. Professor Zulaika Ali was awarded the Chaconia Medal [Silver], Dr. Nasser Mustapha was awarded the Humming Bird Medal [Silver] and Zakir Akaloo the Public Service Medal of Merit [Bronze]. Professor Zulaika Ali is Professor of Child Health (Neonatology) and Deputy Dean, Clinical Medical Sciences, Faculty of Medical Sciences, UWI St. Augustine. In 2005, after four years of collaboration between herself and colleagues at Sick Kids Hospital, Toronto, Canada, she saw the launch of her brainchild – the UWI Telehealth Programme. Telehealth allows doctors at the Telehealth facility based at the Eric Williams Medical Sciences Complex and the Sick Kids Hospital to have consultations via a live video conference link. Dr. Nasser Mustapha is currently the Head of Behavioural Sciences Department, The University of the West Indies, St. Augustine, Trinidad and Consulting Editor for the Encyclopedia of Caribbean Religions, (a York University Project). Author of two widely used textbooks on Sociology for Caribbean Students. He has served as Member of the Subject Panel and as Chief Examiner for CAPE Sociology since its inception and has published several journal articles on drug abuse, education and stratification, and the sociology of health. Dr. Mustapha is also the President of the Trinidad Muslim League. Be the first to comment on "Muslims Earn Trinidad Top Aational Awards." The key to the Kaaba has sold at auction in London for $18.1m (£9.2m).